Adept Series 6400 is a new range of Bipolar Pulsed DC Full Bore Type Electromagnetic Flow meters.It is suitable for pipes with diameters of 10 mm to 600 mm. They are based on Faraday’s law of Electromagnetic Induction. The meter features flanged construction and is available with choice of Liner and Electrode materials. 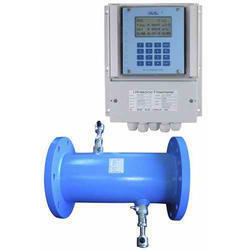 Adept UFM 6730 is a wall-mount Insertion Type Ultrasonic Flow meter provides abundant capabilities for accurate liquid flow measurement. 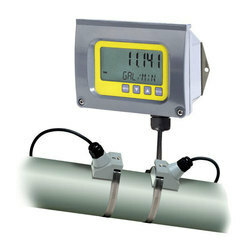 Under the precious advice of our adept professionals, we are engaged in supplying a distinguished range of Flow Meters. The raw material used in manufacturing this range is procured from the certified vendors and guaranteed of their quality. Our clients greatly trust on the offered range for its durability and reliability.